I'm sure to loose my virginity now. There is no way chicks can resist this car. That is a car WIN. Hey R2, what do you want from the Wendy's drive thru? 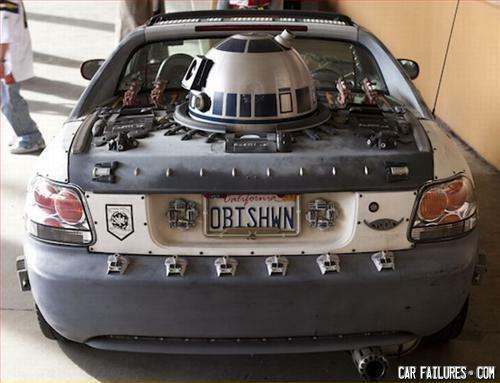 Hooray for Star Wars nerds! How's this a fail? I'd drive it! little hard to see behind you due to the R2 unit. So when' the baby due?